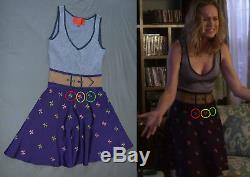 This listing is for a dress worn by Brie Larson in the TV series United States of Tara. 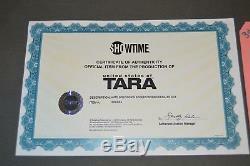 It includes a Certificate of Authenticity from Showtime, with a tamper-proof hologram sticker. 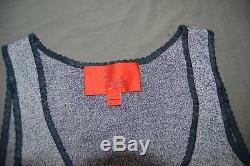 It also includes the original wardrobe tag used by the costume designer for on-set management. This was "Change 1", meaning it was the first one used. 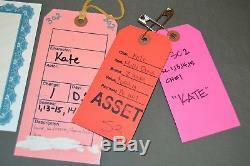 Every movie set keeps spare costumes that may or may not be used; but anything listed "Change 1" was guaranteed to have been used, since it was the first one out of the gate. As a final bit of validation, you can see that the patterns can be screen-matched to the one Brie wears onscreen. 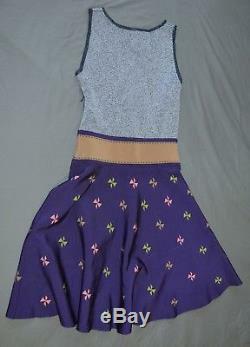 This dress has been kept sealed in plastic since it arrived. It has not been used or handled or displayed. This year, Brie will make her debut as Captain Marvel, which is going to make her one of the biggest stars on the planet. This item is only going to become more valuable over time. 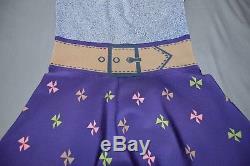 The winner will receive the exact items in the photos, so please refer to those for complete details. Thank you for viewing this listing! 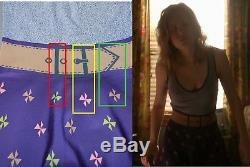 The item "Brie Larson Original Worn Movie Costume Wardrobe Screen-Used Matched Prop Marvel" is in sale since Monday, April 23, 2018. 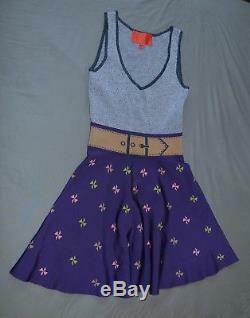 This item is in the category "Entertainment Memorabilia\Movie Memorabilia\Wardrobe\Originals".enterprises" and is located in Salt Lake City, Utah.